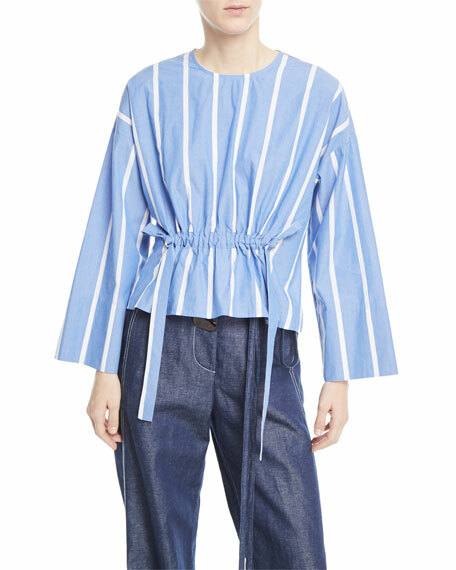 Rejina Pyo "Brooke" striped cotton blouse. Crew neckline; 2 metal button at back. For in-store inquiries, use sku #2498130.